One question at the meeting yesterday focused on the FAQ. What is it? What will it look like? What will it include? 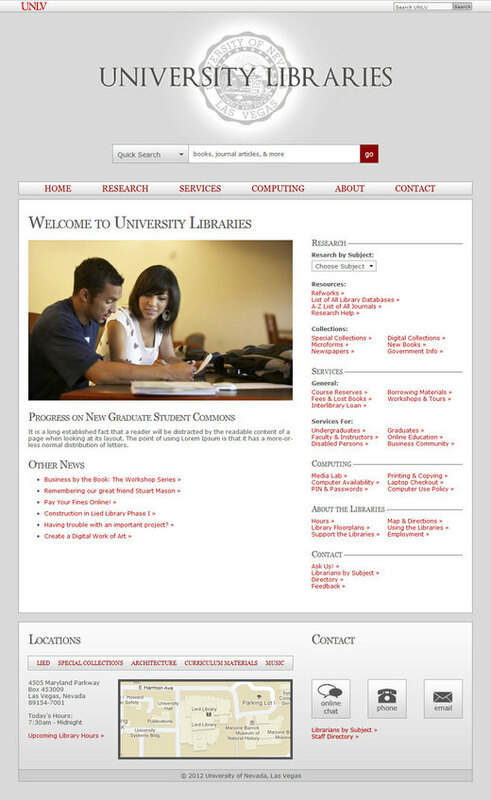 John's still working on the mockups of various top-level pages, but I envision our FAQ to be a lot like the one at UNT Libraries here. We still hope for it to include both textual answers and short screencasts, but the UNT site gives a pretty good illustration of the general set-up and categories. A working prototype of this will be among the first things created once our Drupal instances are in place and the site starts coming together. This is definitely something that we'll need a lot of input on from just about every group in the Libraries. If you have other ideas about the FAQ/Knowledge Base, let us know in the comments or send me an email! Here's the latest version of the Content Map for the library's website redesign. Some of you may recall the earlier version of the map (a massive PDF/Illustrator behemoth, one version of which is still hanging next to my desk). This update incorporates feedback from a series of meetings with groups and individuals throughout the Libraries (including Admin; the group formerly known as Instruction; Circulation; Computer Services; and people in charge of Gov Docs, Distance Ed., and Microforms) as well as general changes that became clear as we thought more about user needs.